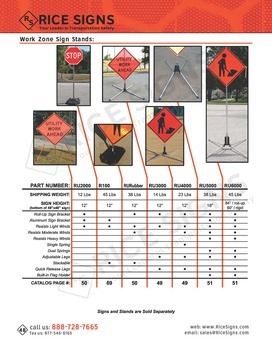 See Rubber Sign Stand for Roll-Up Signs in our catalog on page 50. 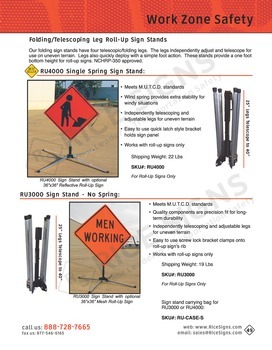 Our molded rubber sign stand is designed for use with our roll-up signs. It consists of a 38 lb. rubber base and a 12 inch upright with a latch mounting bracket. Molded carrying handles and stacking design allow for easy transport and storage. 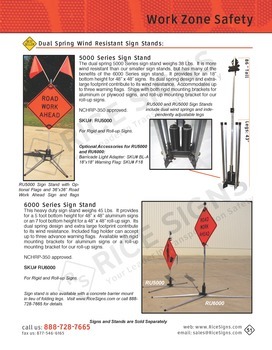 Our rubber sign stand has molded carrying handles and a quick latch bracket for attaching the roll-up sign. 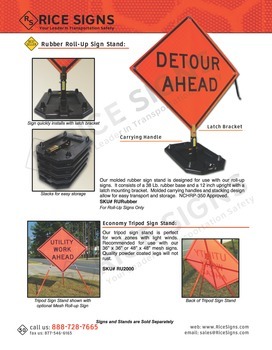 Our rubber sign stand stacks for convenience and ease of storage.